Inspired by the BOLD Life UnCensored collaboration series, the kit is part of the Daily Bull**** products. Procrastinators! Document your daily life ...when you get to it! 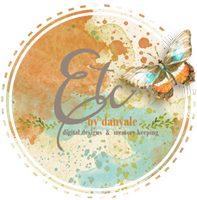 This Digital Scrapbook Kit was creating to compliment the Dear Karma 4 products with Little Butterfly Wings.